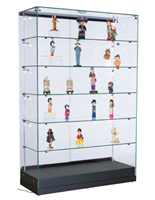 The fastest lead time you'll discover on cases this size! 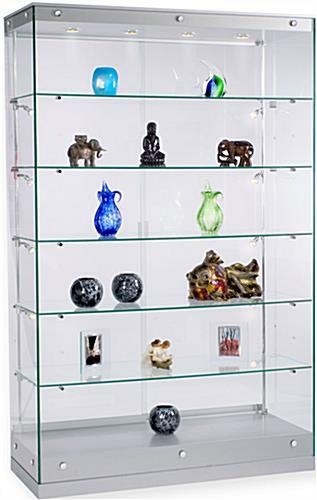 In-stock cases ship out now if ordered before 1pm EST! 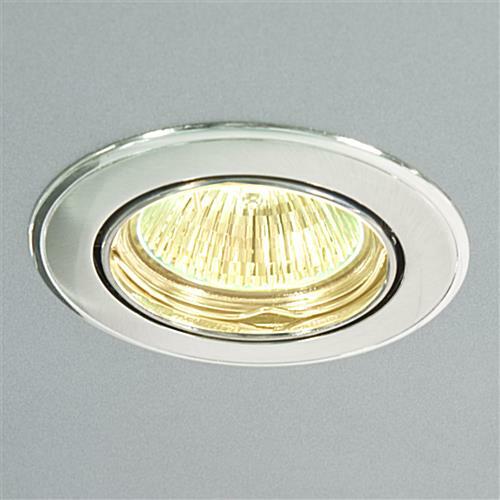 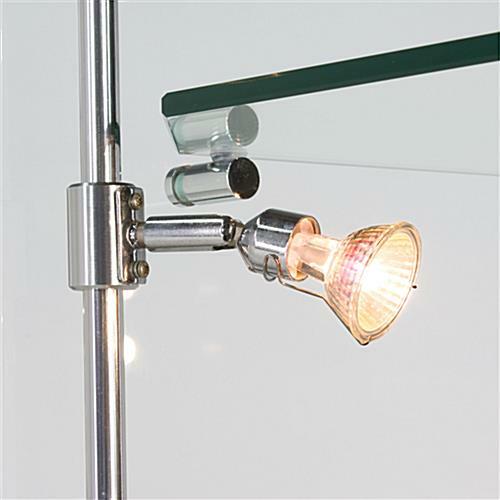 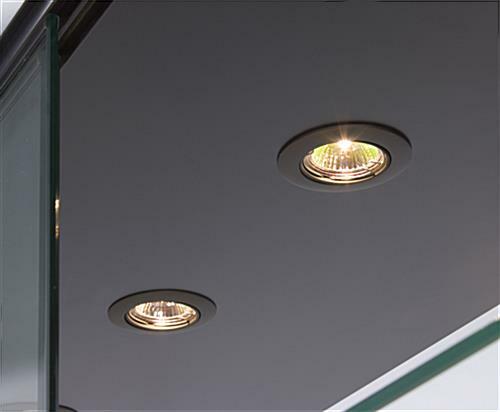 Ten "swiveling" 20-watt vertical lights plus four 20-watt top lights to aim true, white light right where you want it; most competitors demands extra for vertical side lights! 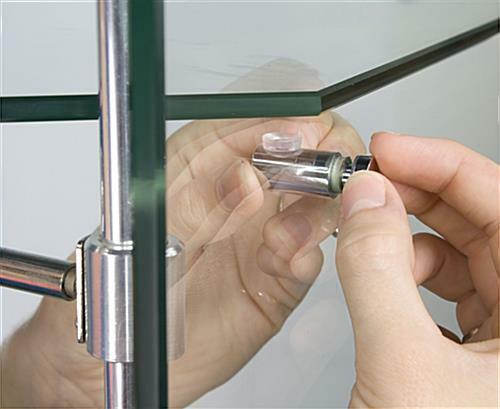 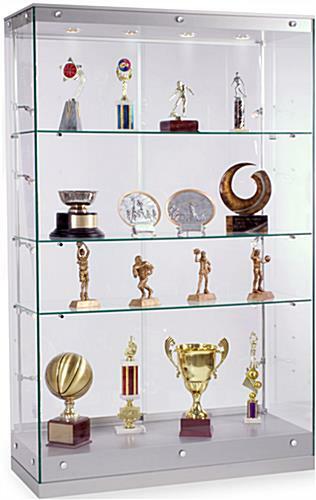 Display cabinets crafted by Grace Tyler Commercial Showcases are an superior option for your retail store, museum, hospital, hotel or restaurant. 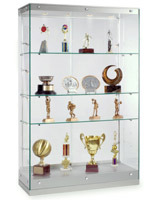 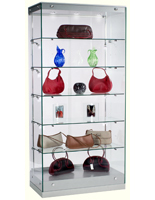 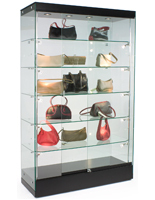 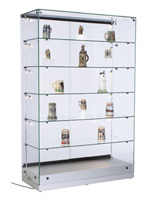 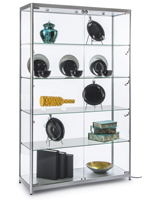 These extra wide retail cases, display cabinets are engineered to suit larger merchandise, or an sweeping product line.